Since Pilgrimage, I’ve written a bunch more scripts, four of which are also based in historical settings. So I’m uniquely qualified to say that if you don’t follow this set of ironclad commandments that you must follow your script will never be read—nah, I’m making this stuff up as I go along. Every script—especially ones taking place in a period setting—have their own unique and specific problems, and every time I finish a draft I feel like I’ve learned something new. What follows are some guidelines that might be useful in the researching and writing of historical scripts. If you disagree, feel free to shout at me at the internet because that’s what the internet is there for*. The trouble is that the lives of real people (even famous ones) rarely fit snugly into the confines of a hundred-page screenplay. Even if you do decide go the Lincoln or Steve Jobs route, (focusing on a small segment of their life to better illustrate the whole) you’re going to find yourself combining characters and fudging dates in order to make the narrative flow a little better. Perhaps you’ll need to invent a dilemma in order to justify a controversial decision. Or, maybe you’ll need to take a radical new angle on the subject matter in order to keep the producer’s attention (“So here’s the twist… What if Joan is actually… John? !”)… and maybe, just maybe, the whole thing will work. Most Irish historical fiction tends to focus on the last 150 years, most notably the struggle for independence against the British Empire. Nothing wrong with that. Lots of great stories have come out of it. But the 10-year-old Irish boy (spoiler: it was me) had this vague notion of setting a story during one of those long centuries of silence, back when people’s loyalty was to their clan or king rather than any newfangled idea of a nation or a country. I wanted to see a place I had never seen on-screen before. Of course, the problem with doing that is that you have to build that place from the ground up. With Pilgrimage, I didn’t start with a specific historical event or character. I had some vague story elements I wanted to use—a mute warrior, a young novice, Norman knights, a journey, an ambush in a forest, a holy relic—but nothing concrete. So, I went through a lot of books about medieval Irish history, getting more specific as the backbone of the story (a group of monks unwillingly transporting a holy relic from A to B) gradually revealed itself. I’ve written several period scripts since then, but I’ve kept the same approach to research: Cast your first net wide. You need to know about the 100 years preceding your story, even if your characters don’t. You need to know what kings or popes or emperors or presidents are in power around the world, even if your characters don’t. Don’t get too bogged down with specific dates and figures (you can always go back and track down specific dates and facts). What you’re trying to do is absorb the feeling of the time period you’re writing about. The analogy of research as mining is unoriginal, but apt. You dig down further and further, hoping for rare gems, but generally finding the same details you found near the surface. This is part of the process: absorbing the bare facts of your chosen era over and over again. You’ll read about the same event from conflicting perspectives and this, too, is part of the process: gaining viewpoints that challenge and contradict your own previously held assumptions. You’ll find yourself getting sidetracked by new information and sliding into mission-creep. This, too, is… well, you get the idea. My readings started with medieval Ireland, but ended up encompassing the Albigensian Crusade, the Sack of Constantinople and the history of Christian Church, among many other topics. If all of this sounds like preparing for a thesis… Well, that’s exactly what it is. And if you’re serious about it, it’s going chew up time, legwork and/or money. The internet is great for surface skimming, but the really interesting details tend to be lurking in libraries, second-hand bookshops and, of course, museums. Naturally, first-hand sources are always invaluable, if only to hear an echo of the time you’re writing about, but take everything with a pinch of salt! 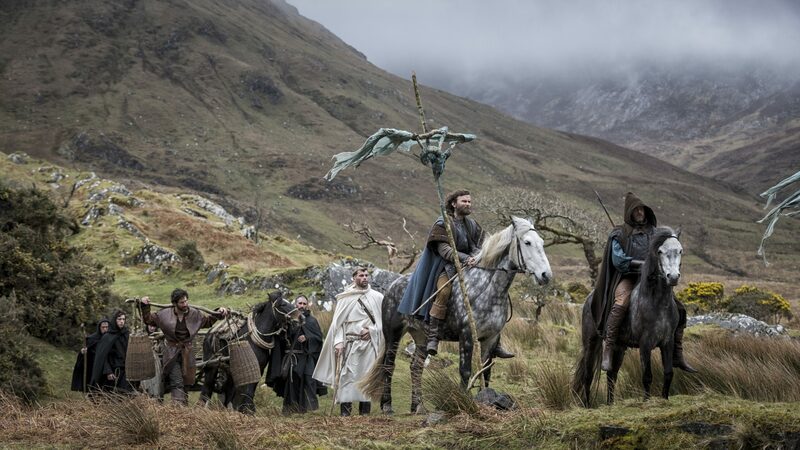 If I based Pilgrimage solely on Gerald of Wales’ 1187 bestseller, The History & Topography of Ireland, the background of the film would have looked like Narnia, complete with werewolves, demons, headless grasshoppers and fish with golden-teeth. Dates and facts are relatively easy things to pin down, but they tend to be the least useful details for screenwriters. For us, the most important thing is getting a tactile feeling of how these people lived, what they had for breakfast, what they did for fun, what they prayed to at night… You want to try and build up an idea of what their daily life was like, even if 90 percent of that will end up as supplemental material for the props and costume department. In one out-of-print book in the Trinity College Library, I read about how certain medieval Irish travelers (wanting a ready supply of fresh fish to hand) would carry small buckets of water filled with eels, nailed shut. It’s a tiny detail, but immediately I could see the opening of a campfire scene in my head: A bucket is cracked open and a wriggling eel is brought out into the light, skewered and roasted… and it’s absolutely normal. Sadly (if somewhat inevitably), that tiny detail was cut from the shooting script. But it had done its job and given me a way into the sounds and smells of the scene. 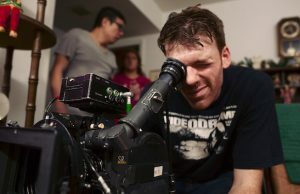 Keep digging and sooner or later, you’ll find that nugget that allows you—however briefly—to see the world of your film from the same level as your characters. I wrote mini-biographies for most of the main characters in Pilgrimage because, as mentioned above, the era and setting of the story hasn’t been put on-screen before. You try to explain as much of the world of the film as possible through the script, but there will inevitably be scenes where recent historical events are referenced (if only in passing) and additional background information is needed for production. 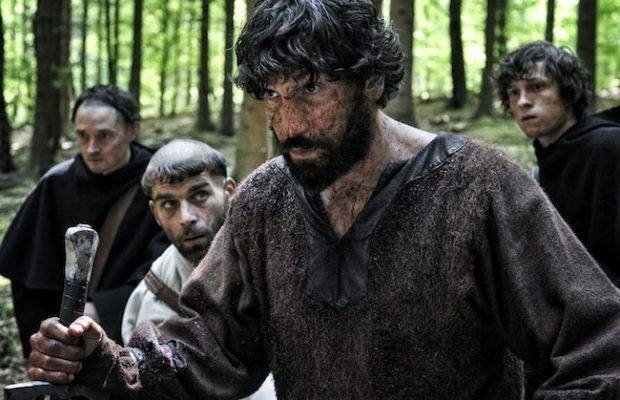 Early on in the film, Norman knight Raymond de Merville (Richard Armitage) is trying to get a reaction out of the Mute lay-brother (Jon Bernthal) escorting the monks. He mentions crusades and Constantinople while the Mute listens in silence. Now, even though very little details are given, the characters need to know what they’re talking about… which means that the actors need to know what they’re talking about… which means the director needs to know what they’re talking about… which, of course, means you need to know what you’re talking about. Hence the need for mini-biographies. But this doesn’t mean that you have to show off your homework. Nothing pulls you out of a film like a character turning to another and spouting exposition along the lines of: “As you know, the Empress Maude has been fighting for control of England against her cousin Stephen de Blois since the death of the King’s heir in the White Ship disaster of 1120…” People don’t talk like that now and almost certainly didn’t talk about back then—whenever “then” happens to be. There’s a great throwaway line in Escape From New York (William Gibson cites it as an influence for his novel Neuromancer) where someone says to Snake Plissken: “You flew the Gullfire over Leningrad, didn’t you?” Neither the Gullfire or Leningrad are mentioned again, but those eight, enigmatic words imply a much larger world lurking beyond the frame of the camera. A line like this is a seed that grows quietly outward, hinting at backstories and misdeeds and adventures that exist only in the minds of the viewer+. 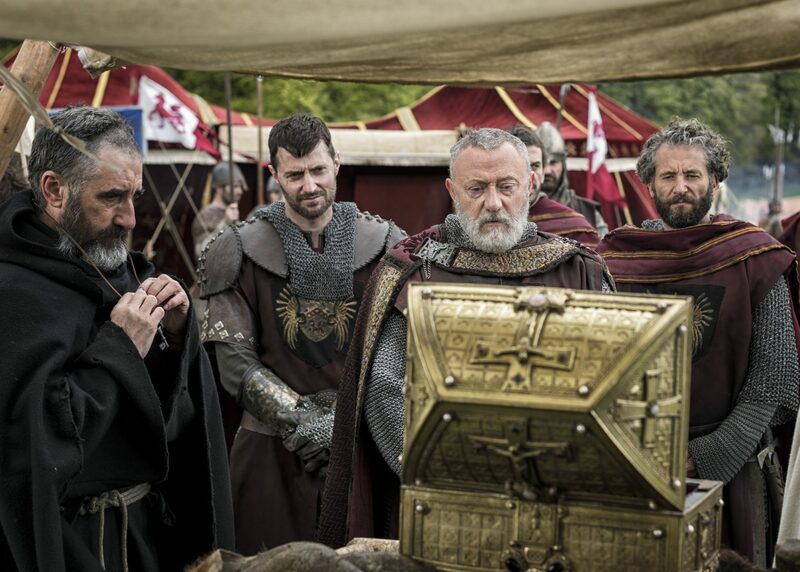 The moment you write that first scene heading (in the first draft of Pilgrimage, it was “EXT. BEACH—DAWN”) you’re inventing a unique universe that exists solely for that film. Think of the Amazon river of Aguirre, The Wrath of God. The Australian outback of The Proposition. The Chicago of The Untouchables. Accuracy is a laudable aim for a screenwriter, but one that is always going to be superseded by drama±. Those examples I mentioned might not be 100 percent historically accurate, but they are authentic as hell to the universe they exist in. 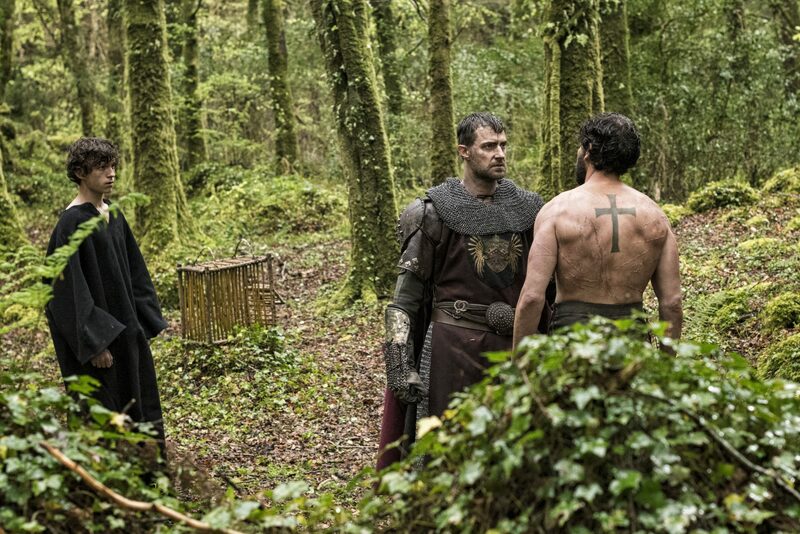 From early discussions with Brendan Muldowney (the director of Pilgrimage) we knew we wanted to use different languages to highlight the subtle divisions and alliances that existed between the monks, Gaelic clans and Norman knights. As using the precise historical languages spoken in Ireland in 1209 would have been a logistical (not to mention financial) impossibility, a compromise was found. Latin was probably the closest thing to a common tongue at the time, so it seemed logical to turn that into English. Medieval Irish became Modern Irish, (albeit with a Galway accent, not that many international viewers will know the difference!) and the old Anglo-Norman spoken by the Normans was turned into modern French. It’s not necessarily accurate, but it is authentic to the world we were trying to create. * Which isn’t to say I’ll actually listen, because that’s also what the internet is there for. + Needless to say, having tremendously-gifted actors like Jon Bernthal and Richard Armitage helps. ± Another reason I prefer using real-life people as supporting characters rather than protagonists: It gives you more room to play around with the story without making extraneous historical errors. 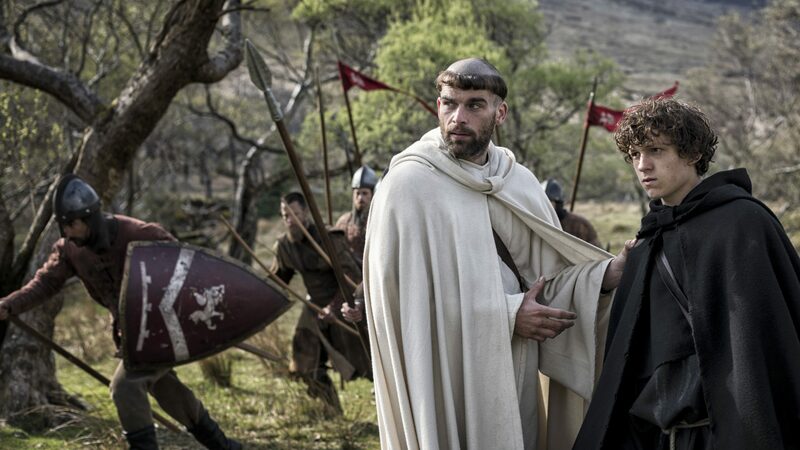 Pilgrimage opens in select cinemas and VOD from August 11, 2017, courtesy of RLJ Entertainment. Featured image courtesy of RLJ Entertainment and Kris Dewitte. If that is the best of your knowledge, dream on. All monks wore shirts beneath their habits. Usually (on the continent) they were of linen and served as underwear. They had long sleeves and came to about mid calve. The scapular, however, is narrow strip of woollen cloth with a hole in the middle to let the head through, which served as protection of the habit, a sort of pinny, and an extra layer to sit on f.i. hard, cold stone.